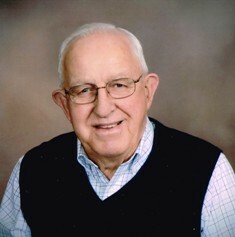 Albertus F. “Bert” Anderson, 93, of Coles Valley, passed away, Wednesday, September 12, 2018 at Morrow Memorial Home, Sparta. He was born the first of eleven children on October 7, 1924 in Sparta to John and Leah (Pratt) Anderson. Bert was very active and believed in being a community steward. He served on Sparta School Board, Sparta Co Op Oil, Monroe County Board, Farm Credit Association, Master Farmers Association, and Church Council at Trinity Lutheran Church, Sparta. Bert is survived by his children, Beverly (Keith) Schultz of Sparta, Darwin (Roxy) Anderson of Lancaster, WI, Sue (Kent) Johnson of Merrill, WI, Sherry (Steve) Norris of Rochester, MN, Cindy (Nolan) Thesing of Sparta, Scott (Sandy) Anderson of Sparta, and Brian (Ann) Anderson of Tomah; 15 grandchildren; 18 great grandchildren; his siblings, John (Sharon) Anderson of Tomah, Darlene Wolfe of Wisconsin Rapids, and Sharon (Gary) Bibby of The Villages, FL; and many other relatives and friends. Bert was preceded in death by his wife, Emma on June 7, 2013; his parents, John and Leah; two twin great grandchildren, Chance and Kennedy Homann; and seven siblings.